This is a real giant gyoza. This is a real giant gyoza. 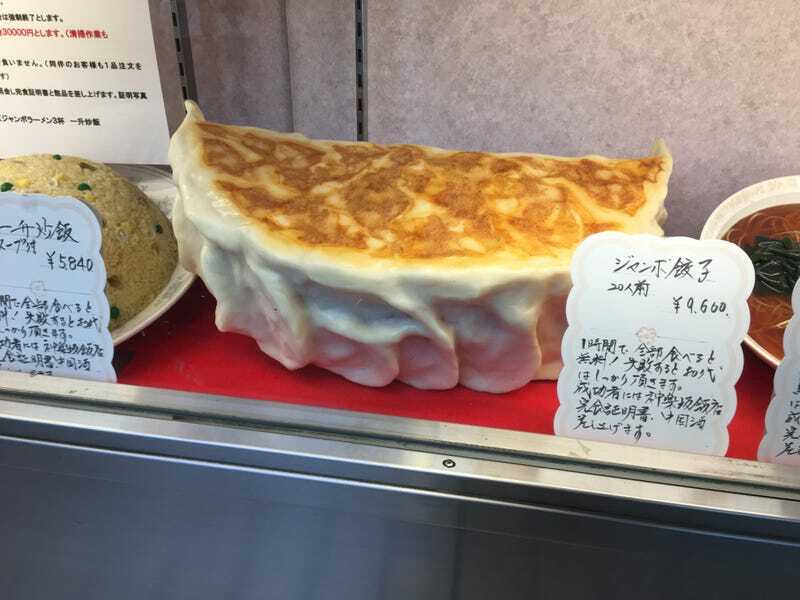 Well, no, sorry, this is a plastic giant gyoza but the shop in question really does sell this impossibly humongous pan-fried dumpling, which serves 20 people and costs 9,600 yen, or just about a hundred bucks. It says if you eat it in an hour, it’s free. I would not advise trying it.